甲醛超標14倍! 撲克牌恐致癌 - 城市論壇 - www.forum4hk.com 一個香港只得一個支持言論自由香港論壇討論區 香港論壇討論區 - Powered by Discuz! 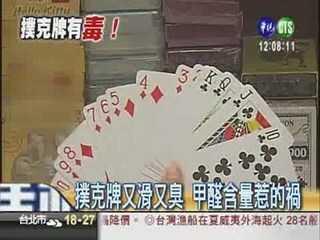 中華電視股份有限公司www.cts.com.tw 版權所有 c 2009 CTS Inc. All Rights Reserved. Processed in 0.028812 second(s), 8 queries, Gzip enabled.